Valeriy Pak is the WPT Korea Main Event Champion! He topped the field of 283 players to claim his first major victory on the live poker circuit. The Main Event took place at Paradise City Incheon, Korea. The event kicked off immediately after the first ever Global Poker Teams Event, which was won by Team China. The buy in was set at KRW1,100,000 (approx. US$983.65). A total of 283 players joined the event with 39 of them having played their starting flight in Tokyo. A total of 72 made it to day 2, but only 31 made it to the money. With some the best players from the Asia-Pacific region joining the festival while attending the WPT Global Teams event, it was not a surprise to see these players in contention during the Main Event. Most them failed to reach the money stage, but New Zealand’s Paul Hockin made it all the way to 18th for $3,484 while Markus Garberg reached the final table. The power couple Kitty Kuo and Russell Thomas who arrived in Korea just in time to enter Day 1B also had a great run. Russell Thomas took $4,161 for his 15th place finish. 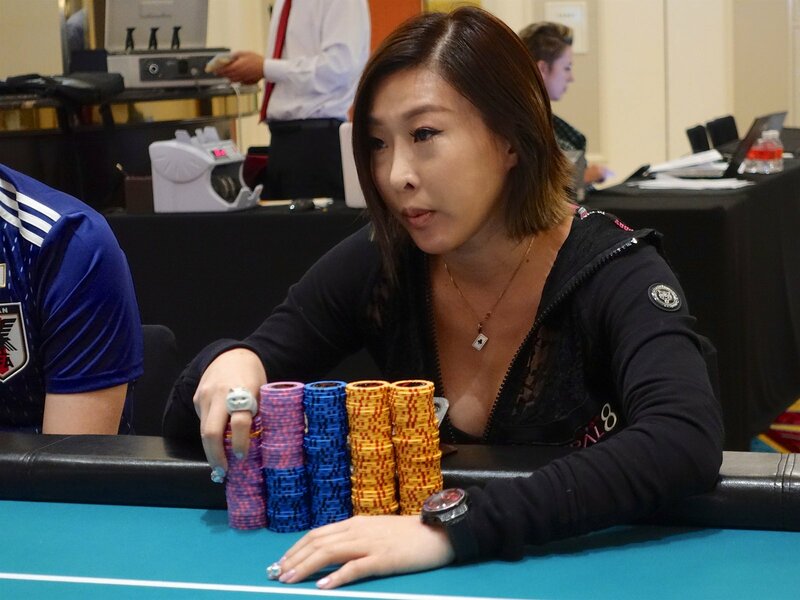 Kitty Kuo was close to making it to the final table with a large stack, but she brutally exited in 10th place. The final table was anything but predictable, as the shortest stack began well, climbing out of immediate danger. The middle stack of Yuichiro Harada quickly moved the other way however, as he quickly became our 9th place finisher. An hour and a half later, and another of the formerly comfortable stacks departed. Female player Yisha Chen lost a race against AQ to finish 8th place. Tatsuki Nakamura followed her to the rail a couple of hours later when his top-pair was caught in the crossfire of a flush over flush confrontation between Paul Hong and Tsugunari Toma. Hong came off worse in that hand, and despite having looked strong throughout the final table, he fell in 6th very soon after when he pushed his shortstack in preflop, only to walk into queens. With five left, Toma was in a commanding position, with 120 big blinds to his nearest challenger’s 31. It wasn’t long before Kevin Ayow left the arena in 5th, after a bluff gone awry, and he was soon followed by Markus Garberg in 4th. Valeriy Pak, had been the recipient of Garberg’s chips and had taken over the lead. Hiroyuki Noda soon fell in 3rd after getting very unlucky to have his pocket tens cracked by Toma’s sixes, leaving Pak and Toma heads-up. After an hour of heads-up play, Pak had extended his chiplead significantly, and soon claimed the title when his A5 of clubs held up against the QK off-suit which Toma had pushed with pre. Korea was the second stop on what has been known as the ‘Asia Swing’ with WPT making their way through some of the finest poker playing locations to be found in the continent, and indeed, the world. The next stop is Vietnam, with Pro Poker Club in Ho Chi Minh city set to host the festival, which begins on September 26th. The Main Event is set to get underway on the 28th.